Journey to Japan’s heartland and meet the locals that are keeping it alive. While most of the world knows Japan for its colorful contrast of modernity and tradition, there is yet another more introspective side to this fascinating country – a quieter side, where the people are still connected to the land, its harvest and ancient belief systems. 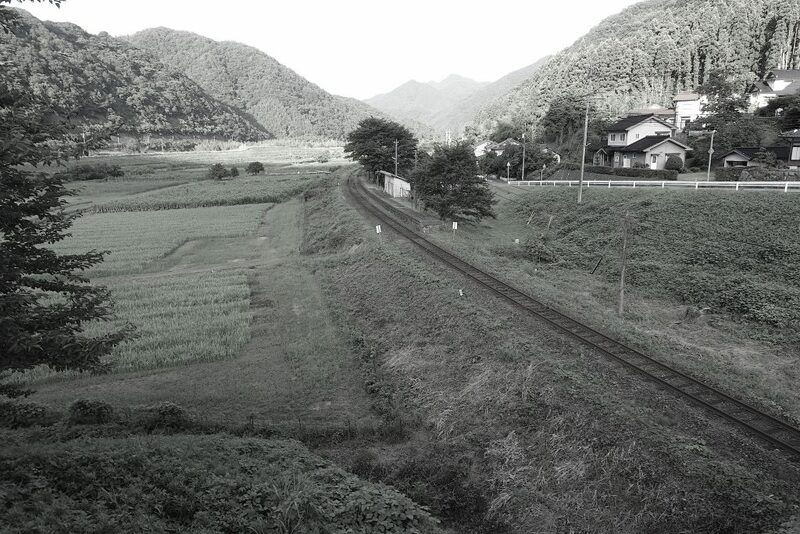 This road less traveled leads to a wellspring of the nation’s core beliefs and values, to rural and coastal communities in the heartland of Japan. 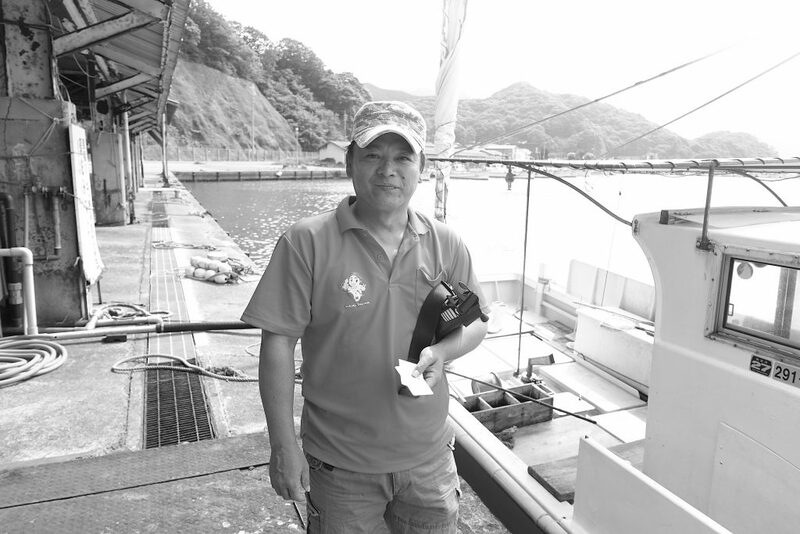 To truly understand Japan you must experience this quieter place, where you can feel the sea breezes of summer as the fisherman bring in their hauls. Where you can enjoy crisp frosty mornings while watching rice milling machines spit out perfectly white grains. Where you can the smell freshly turned earth during the daikon harvest, or listen to the bubbling of fish in nuanced sauces in generation-old kitchen hearths. Welcome to the nation’s bread basket, its heartland! Our goal is to help non-Japanese visitors discover these hidden tourism assets in Japan’s regional areas. We open up Japan’s beautiful and bucolic countryside with such as unique tours and interesting activities. In so doing, we hope to reinvigorate Japan’s local economies, improve cultural exchange and internationalization, and create centers of tourism excellence that will serve as models for other countryside communities as well. Rural focused luxury adventure travel! Discover the heartland of Japan on our country walking tours and have a life-changing experience. 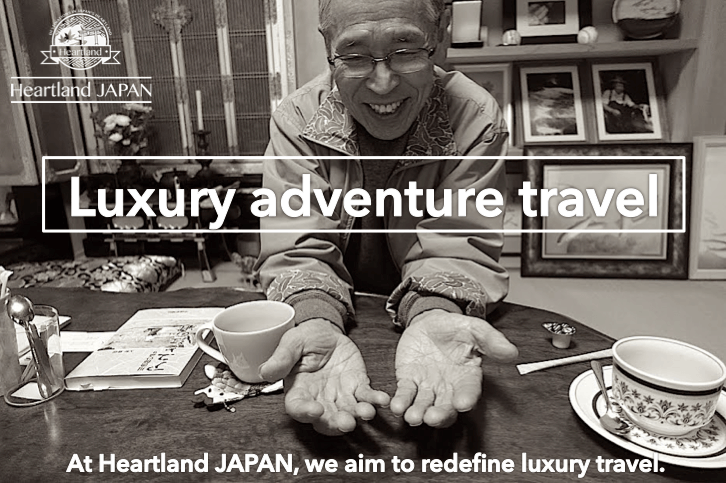 At Heartland Japan, we aim to redefine luxury travel. Not just simply meaninglessly high-priced and photogenic luxurious food and accommodation, this is not what we mean by luxury travel. 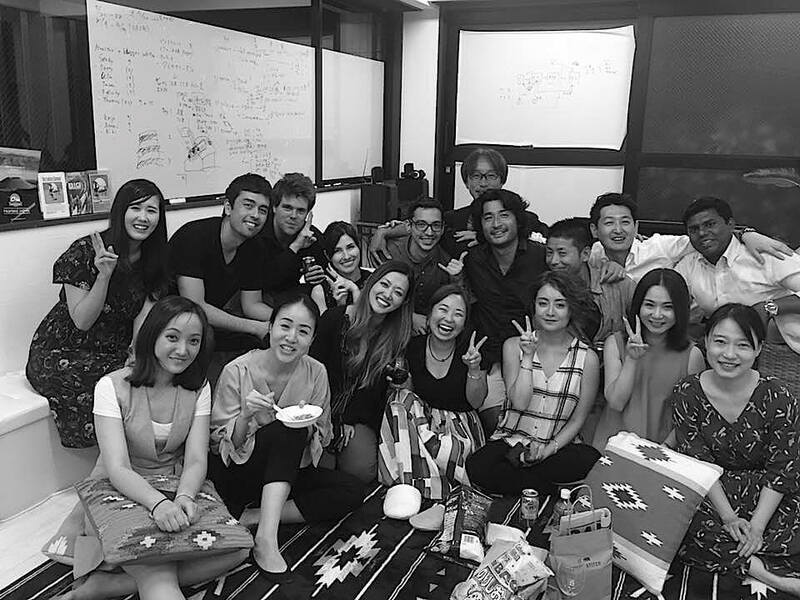 At Heartland Japan, we focus on the spiritual and mental rather than just the material. We hope to create experiences that have a lasting impact, travel that enriches one’s life and inspires while providing comfortable accommodation and transportation means throughout the trip. In a nutshell, we provide spiritually enriching experiences while maintaining all the comforts of luxury travel, thus ‘luxury adventure travel’. We provide high quality adventure tours to beautiful rural locations across Japan and specialise in providing immersive experience (FIT and small groups) tours for affluent travellers with a passion for adventure, a strong sense of intellectual curiosity and a desire to be inspired by the ‘real Japan’. Our biggest goal is to provide travellers with the opportunity to see the ‘authentic Japan’, the Japan that has not been dressed up and stylised for tourist purposes, but rather the Japan that the Japanese live in. Tour attendees will be able to discover local regions where historical traditions still live on, where they can engage in a cultural dialogue with locals, thus physically and spiritually learning, what makes up Japan as a country, all at a comfortable pace and environment. E.g. Kagura and fisherman’s kabuki performances. Visiting hot spring baths, hot spring steam cooking experiences, fishing boat ride, tea farm tour and tea ceremony experience, a local pottery class. Soy sauce factory, sake brewery and dorayaki (traditional Japanese sweet) bakery tour. Conversing with locals such as farmers, fisherman, and local priests. E.g. Our guides provide comprehensive and engaging facts and anecdotes about Japanese history, culture, regional characteristics, societal challenges, aesthetics, religion, spirituality and lifestyle. E.g. Walking on old samurai roads, pilgrimage routes, castle town streets, hiking, trekking, canoeing…an overall well-rounded experience of sea, mountain and everything in between. E.g. A balance of overnight experiences at ryokans (traditional inn), minshuku (locally run guesthouses), farm stays and hotels. Meals include dinners at local restaurants and pubs where attendees have the chance to meet locals and try local produce and dishes. Japanese culture is made up of a myriad of regional traditions, histories and customs – from the words spoken, to the food eaten. Just 150 years ago during the Edo Period, the country was still comprised of around 260 different clans – from north to south, east to west, coastal and inland, long-residing communities adapted to match the nature around them, and with it unique histories and cultures developed spanning over thousands of years. Together with Japan’s distinct four seasons, this makes a truly diverse country in which travellers can enjoy a multitude of inspiring experiences. For these reasons we can’t help but invite you to come with us on a life-enhancing regional tour of Japan! At Heartland Japan, we believe that the essence of travel is to truly understand a country by authentically experiencing the culture. Such cross-cultural experiences can act as a trigger to enriching one’s life and even have the power to be life-changing. However, currently, the world is effectively only offered the so-called ‘golden route’ consisting of Tokyo, Mt Fuji, Kyoto and Hiroshima, limiting the area of tourist travel to these most popular locations. As a result, these stereotypical go-to spots have become overcrowded, overrun by tourists who only know of these places to visit. Even though they spend time and money to visit, they are unable to take their time and fully appreciate what they have come to see. This is the unfortunate reality that many travellers face, unable to say that they have had a truly authentic and inspiring experience. Further, the limitations of these routes means that it is not possible to really understand the breadth and depth of the country, the multifaceted nature of Japan. On the other hand, well-travelled individuals have begun looking for this extra dimension to their travels, to see the ‘real Japan’. Rather than the typically iconic landmarks and guidebook headliners, commercialised for maximum tourist attraction, it is the ‘unknown Japan’ that they desire to know, it is the commercially underdeveloped regions and off-the-beaten-track unique experiences, it is the opportunity to meet locals that many travellers are now seeking. In other words, rather than purely material and superficial tourism, they want a spiritually fulfilling experience. Value for the ‘genuine’ is increasing. However, among the current inbound tourist products, there are only a handful that answer to these increasing demands from the market. Few tours provide sufficient depth and diversity. Thus, at Heartland Japan, we hope to tackle this challenge, offering stimulating adventure tours with the theme of ‘rural Japan’. In order to truly understand Japan, it is crucial to not only visit popularised destinations and major cities found in every guidebook but to also visit the myriad of culturally and historically rich local regions across the whole of Japan. 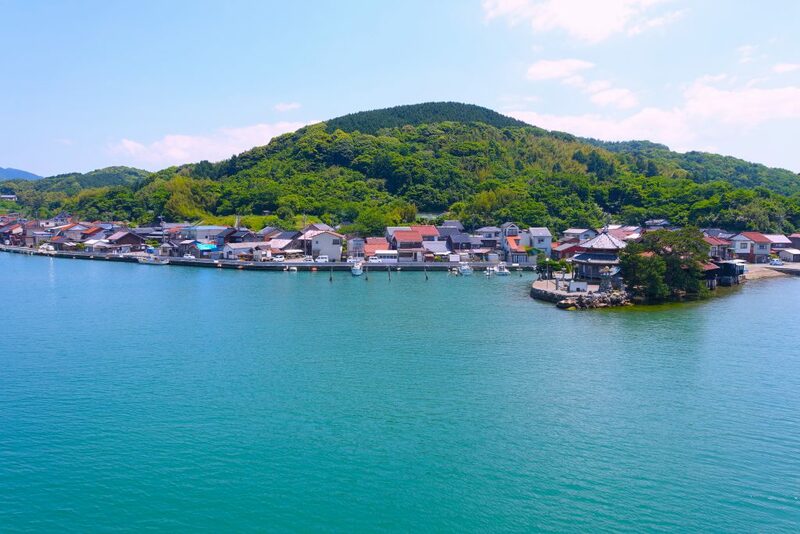 It is only by taking the time to see these beautiful villages with remnants of the past, exquisite natural sites, and to catch a glimpse of the lifestyle of locals that the true nature of Japan begins to take shape. It is through such in-depth experiences that travel can become an inspirational medium that has the power to enrich lives. Our goal is to create for the traveller an unforgettable cross-cultural experience that brings light to the essence of Japan. We hope to realise this by providing tours to the real, untouched Japan: travelling to rural locations, providing an opportunity for dialogue with locals, visiting regional nature spots, taking part in hands-on cultural activities and learning about local history. We hope to provide our luxury adventure tours to travellers who seek the authentic. Welcome to the undiscovered Japan! Let’s enjoy this country full of regional diversity together!